The Cheliff region has experienced some significant earthquakes in the last century (1937, 1954, and 1980). The most destructive one is that of El Asnam on October 10, 1980, Ms = 7.3 (Io = IX), which destroyed the Chlef city (formerly El Asnam) and its surrounding villages. On December 16, 2006 a moderate earthquake (Mw = 5.0) hit the Cheliff region. The maximum observed intensity (Io = V: MSK-scale) was observed at Abou El Hassen, Benaria, Bouzghaïa and Tadjena. No damages or human losses were recorded. Nevertheless, minor cracks on walls of the old school at Tadjena were observed. The point source focal mechanism of the event was determined by inverting the waveforms of three regional broadband stations of the ADSN (Algerian Digital Seismic Network). It corresponds to thrust-reverse faulting with a strike-slip component. The stress tensor obtained by the inversion of the 15 focal mechanisms available in the Cheliff region exhibits a well constrained compression axis σ1 horizontal and trending N145°. The NW dipping nodal plane indicating a NE–SW thrust fault with a right-lateral component (strike, dip, rake = 249, 38, 137) is more compatible with the regional stress tensor than the steep dipping NNE-SSW nodal plane showing reverse faulting with a left-lateral component (strike, dip, rake = 15, 65, 60). Accordingly, the Tadjena moderate size earthquake can be related to the Boukadir active fault bordering the lower Cheliff basin to the north, a situation similar to that of the El Asnam fault bordering the middle Cheliff basin to the north. We thank anonymous reviewers and the editor Lupei Zhu for their valuable comments. We want to thank also, T. Allili, S. Haned and A. Deramchi to have provided us with broadband records, event location and macroseismic data respectively. This work was supported by CRAAG and Geosciences Azur. Ayadi, A., Dorbath, C., Oussadou, Maouche, S., Chikh, M., Bounif, M., A. and Meghraoui, M. (2008), Zemmouri earthquake rupture zone (M w 6.8, Algeria) : Aftershocks sequence relocation and 3D velocity model, J. Geophys. Res., Vol. 113, B09301, doi: 10.1029/2007JB005257. 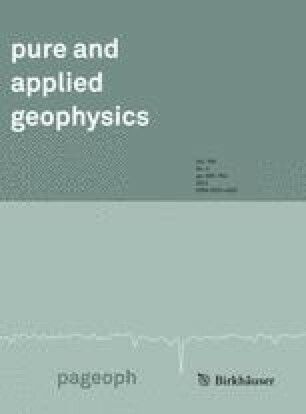 Belabbès, S., Wikcs, C., Cakir, Z. and Meghraoui, M. (2009), Rupture parameters of the 2003 Zemmouri (Mw = 6.8), Algeria, earthquake from joint inversion of interferometric synthetic aperture radar, coastal uplift, and GPS, J. Geophys. Res., Vol. 114, B03406, doi: 10.1029/2008JB005912. Beldjoudi, H., Guemache, M., A., Kherroubi, A., Semmane, F., Yelles-Chaouche, A., K., Djellit, H., Amrani, A. and Haned, A. (2009), The Lâalam (Béjaïa, North-East Algeria) moderate earthquake (Mw = 5.2) on March 20, 2006, Pure appl. Geophys., doi: 10.1007/S00024-009-0462-9. Bounif, A.; Dorbath, C.; Ayadi, A.; Meghraoui, M.; Beldjoudi, H.;Laouami, N.; Frogneux, M.; Slimani, A.; Alasset, J.P.; Kherroubi, A.; Oussadou, F.; Chikh, M.; Harbi, A.; Larbes, S. and Maouche, S. (2004), The 21 May Zemmouri (Algeria) earthquake Mw 6.8: Relocation and aftershock sequence analysis, Geophys. Res. Letters, 31, L19606, doi: 10.1029/2004GL020586. Delouis, B., Vallée, M., Calais, E., Maouche, S., Lammali, K., Mahsas, H., Briole, P., Benhamouda, F., and Yelles-Chaouche, A.K. (2004), Slip distribution of the 2003 Boumerdes-Zemmouri earthquake, Algeria, from teleseismic, GPS, and coastal uplift data, Geophy. Res. Letters, 31, L18607, doi: 10.1029/2004GL020687. Fernandes, R., M., Ambrosiuos, B., A., C., Noomen, R., Bastos, L., Spakman, W. and Govers, R. (2003), The relative motion between Africa and Eurasia as derived from ITRF2000 and GPS data, Geophys. Res. Lett., Vol. 30, n° 16, 1828, doi : 10.1029/2003GL017089. Meghraoui, M., Maouche, S., Chemaa, B., Cakir, Z.,Aoudia, A.,Harbi, A.,Alasset, J-P., Ayadi, A., Bouhadad, Y., and Benhamouda, F. (2004), Coastal uplift and thrust faulting associated with the Mw = 6.8 Zemmouri earthquake of 21 May 2003, Geophy. Res. Letters 31, L19605, doi: 10.1929/2004GL020466. Negredo, A., M., Bird, P., Galdeano and Buforn, E. (2002), Neotectonic modelling of the Ibero-Maghrebian region. J. Geophys. Res., Vol. 107, B11, 2292, doi: 10.1029/2001JB00074. Nocquet J-M, Calais E (2004), Geodetic measurements of crustal deformation in theWestern Mediterranean and Europe. In: Nocquet J.-M, Calais E (eds) Pure and Appl Geophys 161(3):661–668. doi: 10.1007/s00024-003-2468-z. Semmane, F., Campillo, M., and Cotton, F. (2005), Fault location and source process of the Boumerdes, Algeria, Earthquake inferred from geodetic and strong motion data, Geophy. Res. Letters 32, L01305, doi: 10.1029/2004GL021268. Yelles-Chaouche, A., K., Lammali, K., Mahsas, A., Calais, E. and Briole, P. (2004), Coseismic deformation of the May 21 st ,2003 earthquake, Algeria from GPS measurements, Geophys. Res. Letters, 31, L13610, doi: 10.1029/2004GL019884.